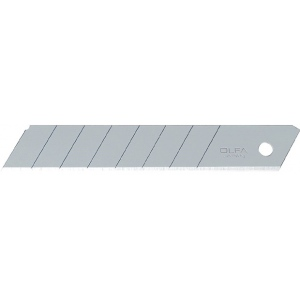 8-segment 18mm snap-off blade for construction materials. * Made of high-quality carbon tool steel with a double-honed blade for unparalleled sharpness and superior edge retention. * The blades are designed to cut through drywall linoleum carpet flooring insulation and roofing materials.